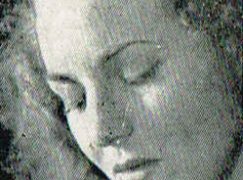 The British pianist Kyla Greenbaum, who has died at 95, gave the UK premieres of Arnold Schoenberg’s piano concerto at the BBC Proms in August 1945, and of his Fantasia, with the violinist Tibor Varga. Her showpiece was Constant Lambert’s Rio Grande, an exotic work that barely outlasted its composer. Kyla was a lively London character in the 1960s, fading from the limelight when she accompanied her psychiatrist husband, Andrew Crowcroft, to a posting in Canada. ==Constant Lambert’s Rio Grande, an exotic work that barely outlasted its composer. Hah ? This is still quite popular. Great piece ! Very true. The recording embedded in the post has been reissued numerous times, most recently, I think, on Pearl. There have been recent recordings, perhaps most notably Stott/Della Jones/Wordsworth and Jack Gibbons/Sally Burgess/Lloyd-Jones. Andre Previn’s recording remains a standout, however. To assert that the work died with its composer is really quite daft. Not quite sure what means a “standout”… but A Previn’s “Rio Grande” is a dismal flop, unsunkronoze. poorly plo’ and miserably sung. Maybe that’s a “standout” in negative terms! Admittedly it should have been stunning, with a jazzy conductor, Brazilienne pianist….etc, but these things don’t always work as planned. Wrong note music. Ugh, should all be put a 11th July bonfire. Constant Lambert? Who or what is that? Another wrong noter eh? Yes the 20th Century produced some real duds. Schonberg was one of the 7 tuneless wonders of 20th Century music no wonder it all went down a blind alley. There are plenty of tunes to be heard in Schoenberg’s music, from his earliest works to the last. Open your ears, and your mind! You are wrong its total garbage, tuneless, in Ireland we have a criterion, if it has no tune it cannot be music, Schoenberg is just boring the others are the same Rihm, Boulez Ligeti, Stockhausen. Here is some O’Carolan played by Sean O’Riada on a Ferdinand Weber upright harpsichord 1764, at Luggala, Wicklow. If so, then many musical masterpieces such as for example Bach’s C-major Prelude from WTC 1 would not be considered music in Ireland, which means nothing other than a considerable loss for the Irish. I found mr B asleep over the keyboard of his computer, while a harpsichord was rattling-on forever, I think it did not quite hold his interest. Sorry to say! It may be of some interest to know that the German nazis burned books in a festive bonfire in the thirties. It would be wise not to be associated with murderous thugs. Reading about Lambert BEFORE commenting in such unsophisticated way is wholeheartedly recommended, as to protect onseself from understanding lip smacking. Alas, with knowledge comes shame: ignorance is a precious flower, touch it and the bloom is gone. Well, as you’re so aptly nome, i can’t resist dire ecting you to 4.48 on the present recording. Kyla GreenBum Note indeed. Lambert wrote a very interesting book upon new music in the thirties: ‘Music Ho!’ (Faber & Faber 1934) and which enjoyed many reprints. He may not have been a very profound composer but a very musical one as ‘Rio Grande’ demonstrates, and remarkably his book presents a couple of views upon 20C music which are still of value, although some observations are limited by the typical British irony of the time. Humph! I well remembor visiting the Royal Mucademy of Arsick where a friend was preapering a concert; Mme Kyla Greenbum apparently was also preapering a rectal and burst into the studio, effusively offering advice on fingerings and phrasings, all the time puffing like a chimney on a long cigarette in a holder. My friend was disgost and flung around opening windows….”oh don’t mind me….. just puff to your heart’s content…..may your audience all die of cancer….” (etc, etc,)… I found her rather amusing, if quite asphixiating, and nearly found the courage to ask her about the famous wrong note in “Rio Grande”…(she fell off a beef latte ..Bb), in the spread Eb chords)…which they had to leave in cos ‘twould hav been fart oom uch borether to re-record the session. Constant Lambert was apparently amuose; said it gave spontanaiety to the wreck-hoarding. An eccentric old bag. RIP. (Repose in Puffings). I didn’t realise she’d been bunish to the wilds of Canada…..obviously the Kiss of Death in the 60’s & 70’s; just loo kat the destroyed carers of the liks of Peter Katin and Valerie Tryon, who never recovered from those distant babaric icy wastes.That was before the phenomenal rise of Modern Canada (Montreal S.O. M-A Hamelin, Angular Hewitt, Jams Ehnes, Yannick Noget-Sezin, ect).